Katie and Seth were getting married on the eve of New Year's Eve, in Portland, Maine. 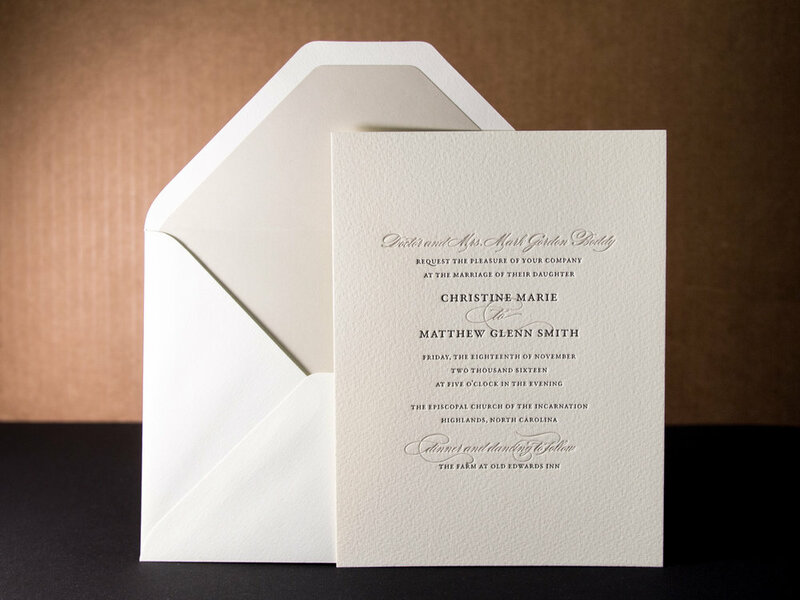 They wanted a simple, elegant look — and getting married so close to holidays, they knew they wanted invitations that looked wintery without looking Christmas-y. They found the Whirl design and knew it would work well with their wedding colors of ivory, gold and silver. Katie was pleased with how, in her words, "Travis took the brief information I gave him about our 'vision' and turned that into our wedding invitations." 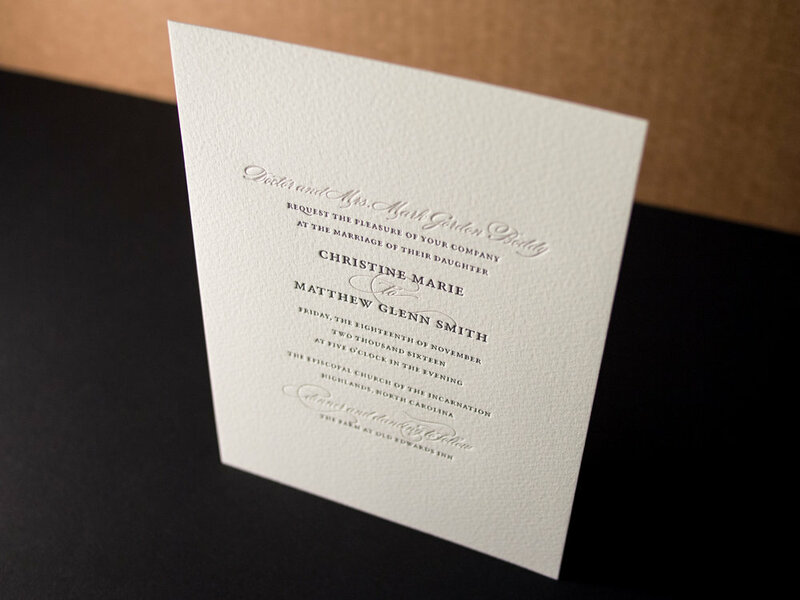 They used black text with gold artwork and gold typographic accents on the main invitations and the RSVP card. The wedding party was similarly attired in black tuxedos and floor-length metallic gowns. The set was printed on soft white Somerset paper and paired with oversized Arturo envelopes. The corresponding invitation for the rehearsal dinner was done in all black. 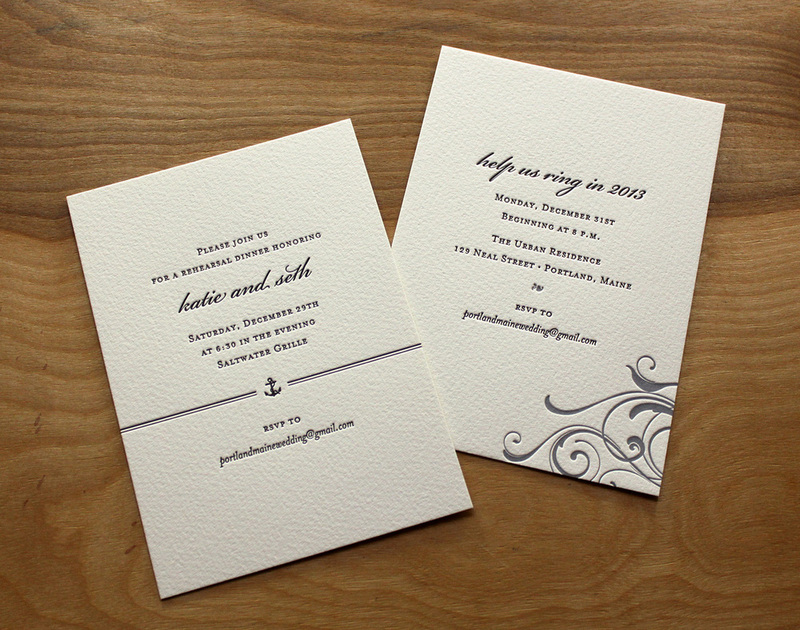 It was simple and a bit more more casual — with a graphic nod to the nautical setting — but the look was tied to the overall design by the type layout and paper stock. Rounding out the long holiday weekend of celebration, another card invited guests to a New Year's Eve party. 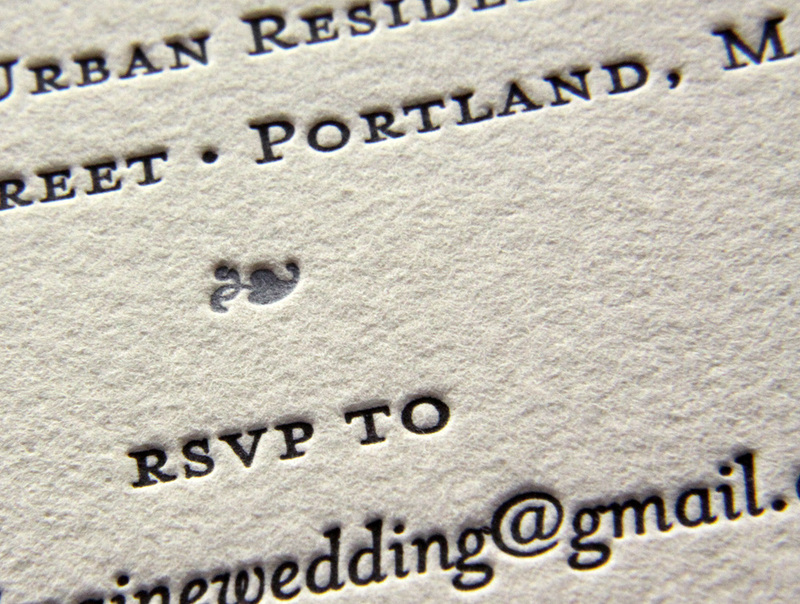 That piece featured swirls and typographic accents printed in silver. Katie's mother, who lives in Oklahoma, found Parklife Press through a Google search. Katie and Seth were happy she did; they live in Durham and were happy to support a local business. Katie's reaction when she first saw their invitations: "When I picked them up and saw them, I literally was obsessed with them. They could not have been more perfect!" 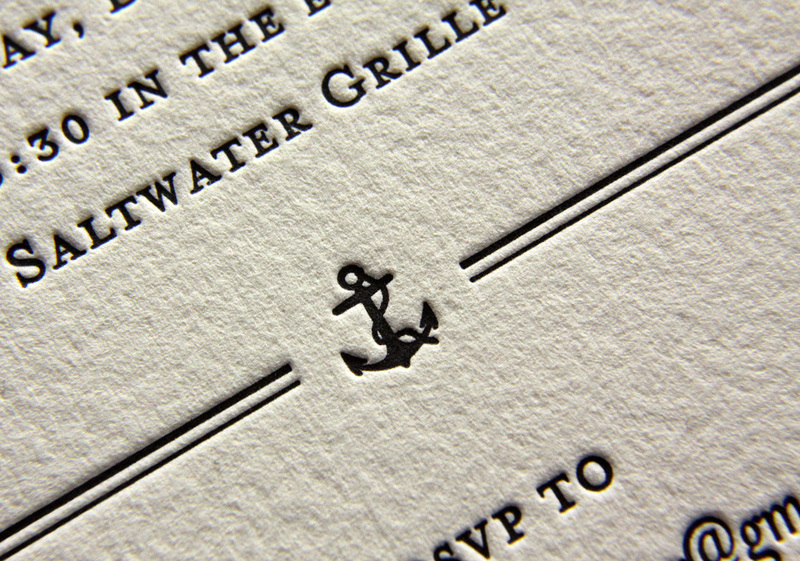 Posted in wedding invitations and tagged with soft white somerset, arturo envelope, black, gold, silver, 300g. April 4, 2013 by Sarah Arneson.